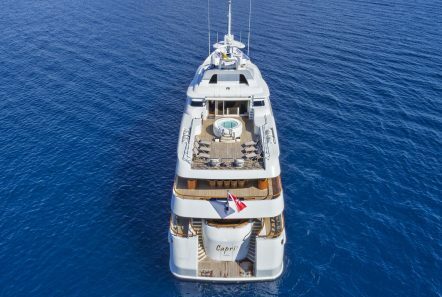 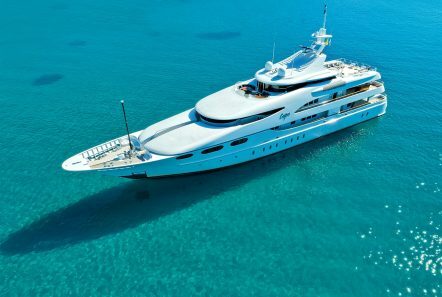 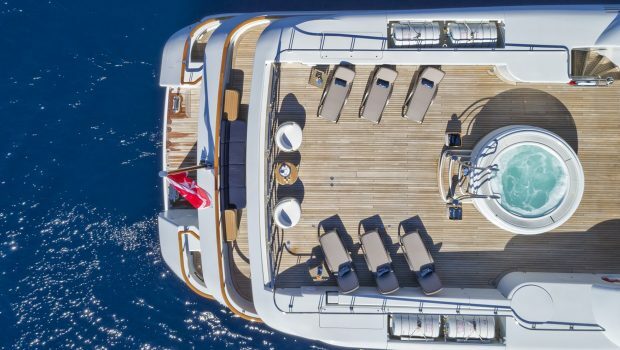 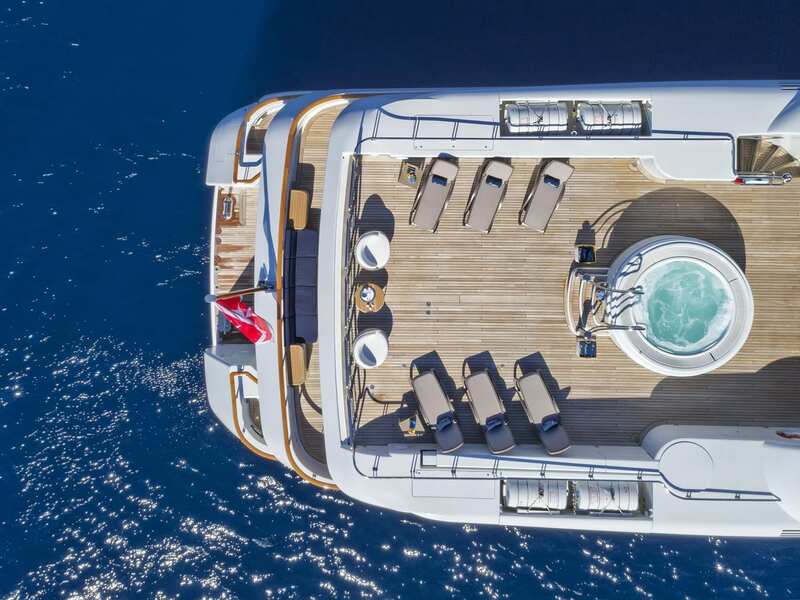 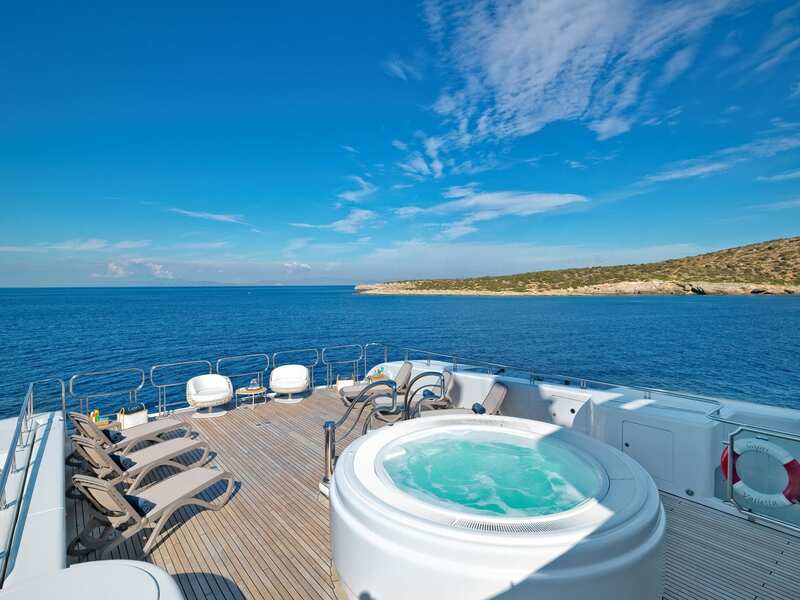 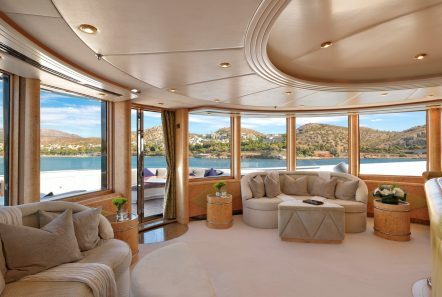 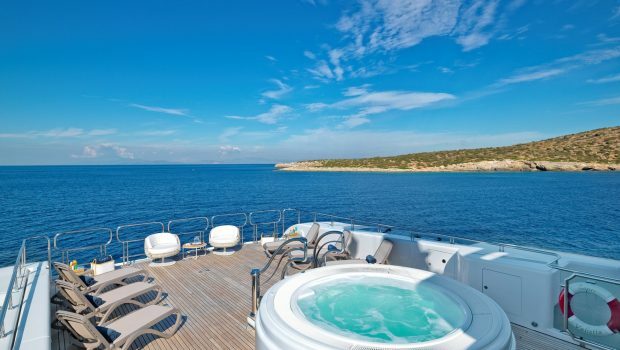 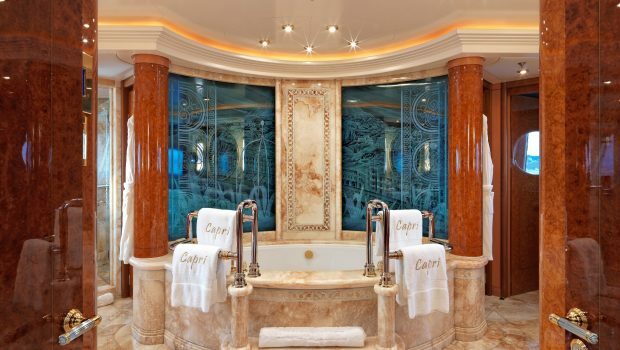 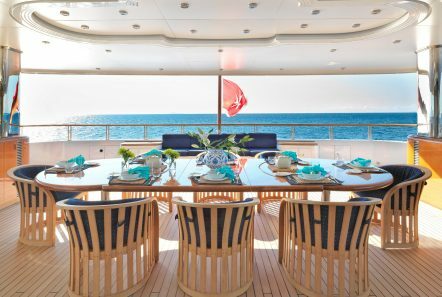 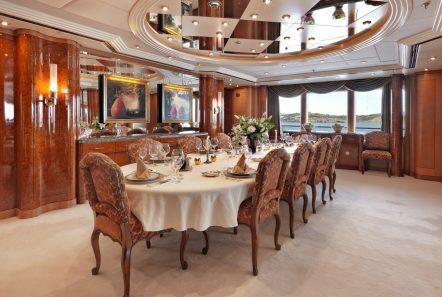 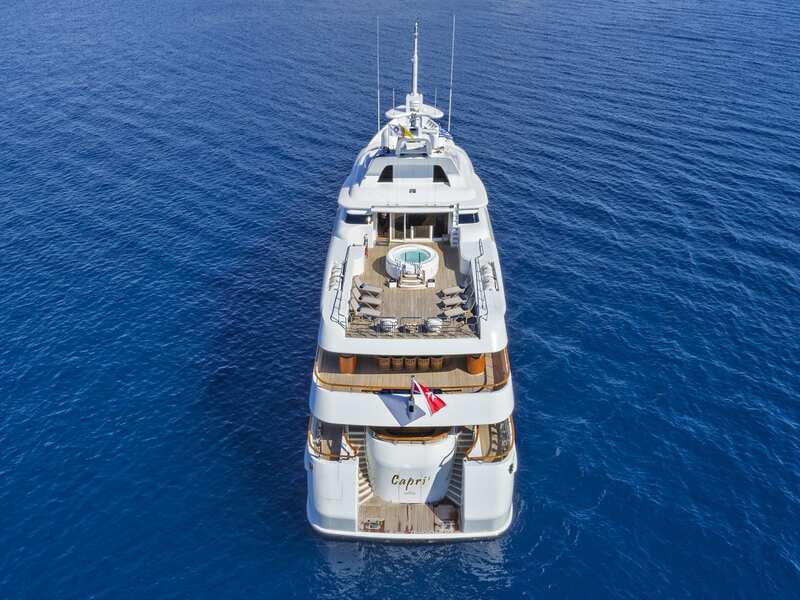 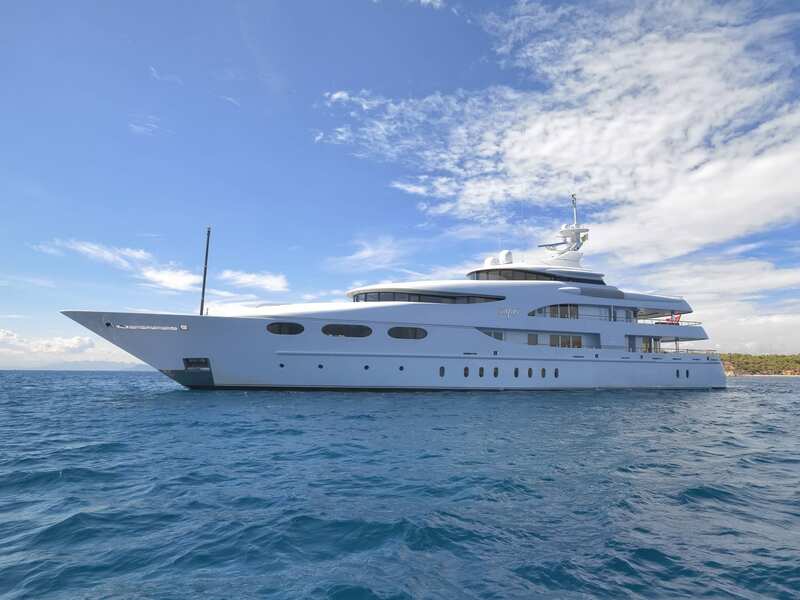 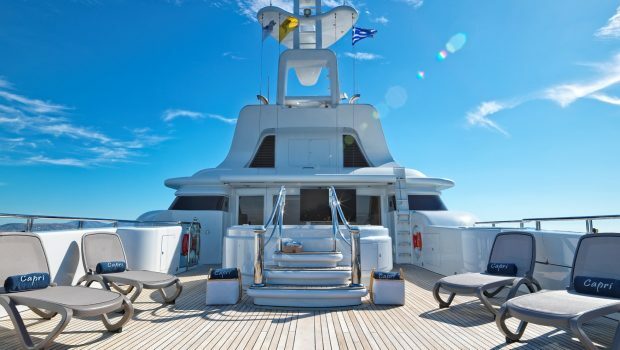 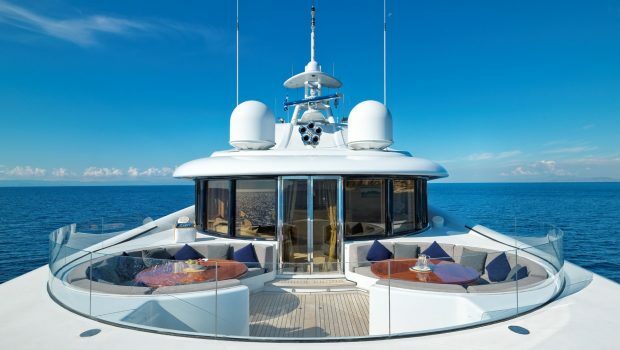 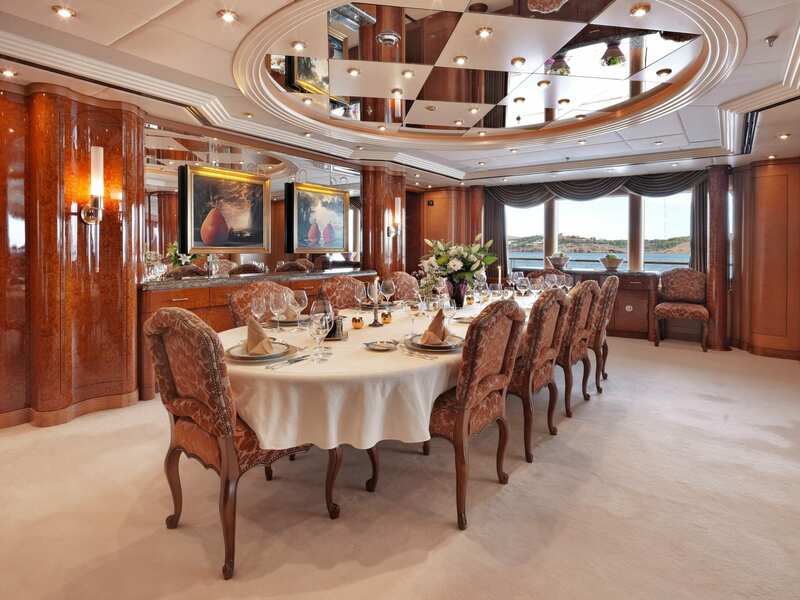 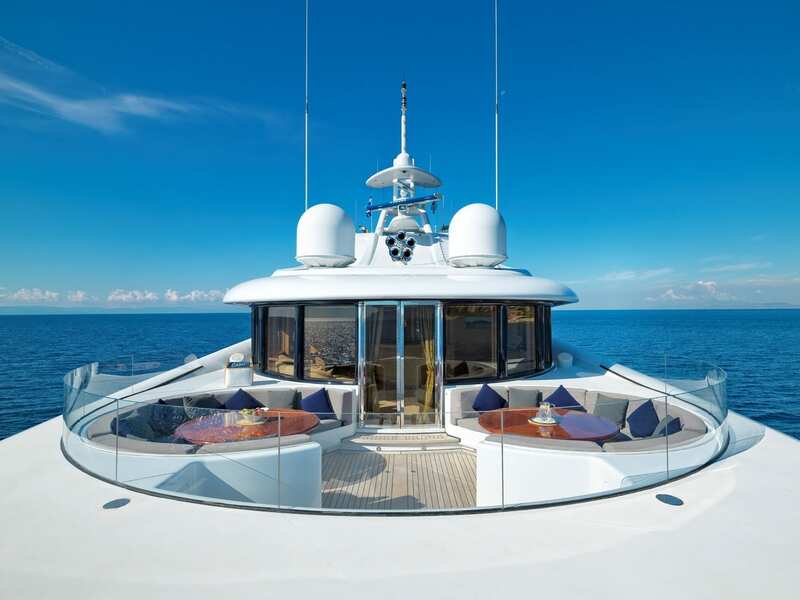 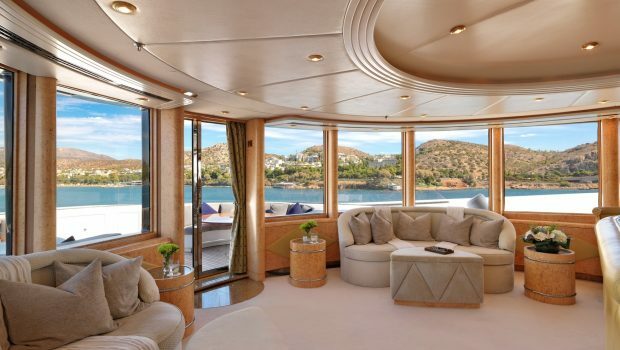 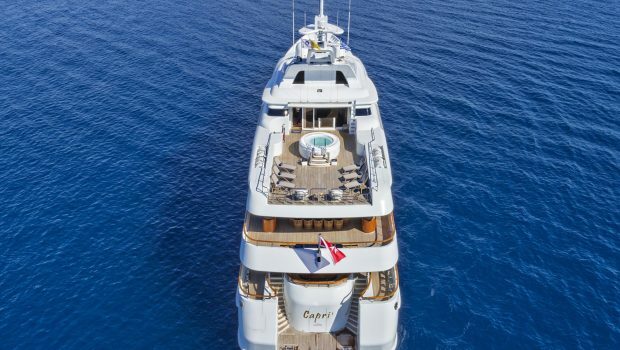 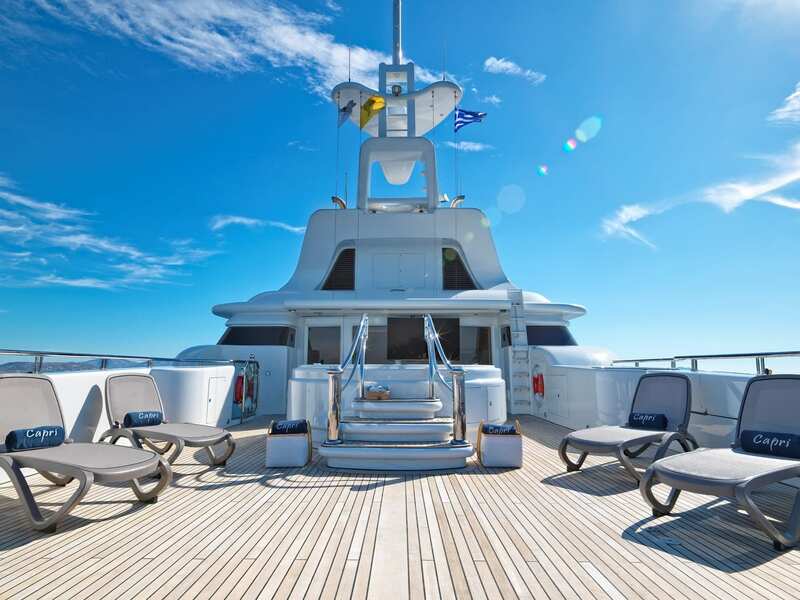 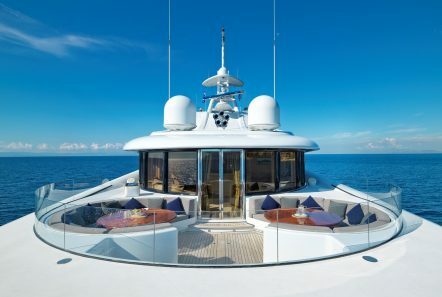 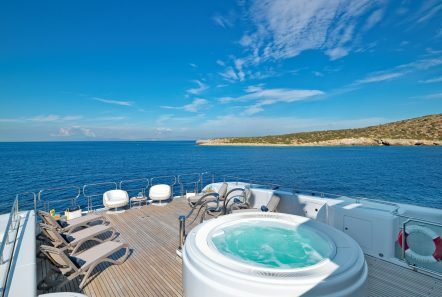 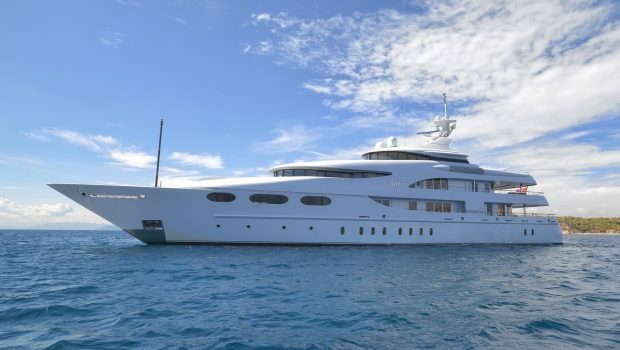 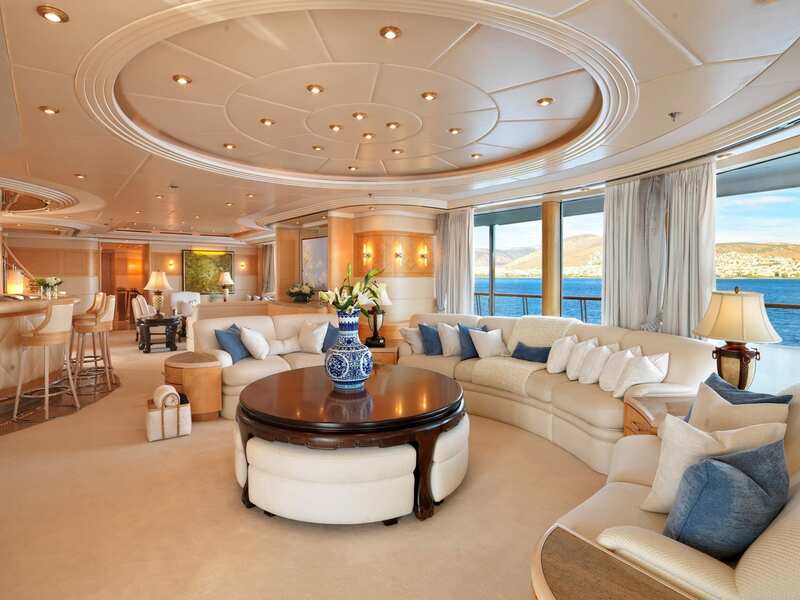 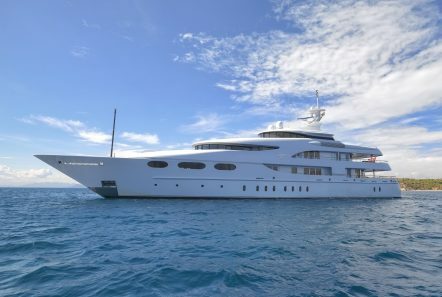 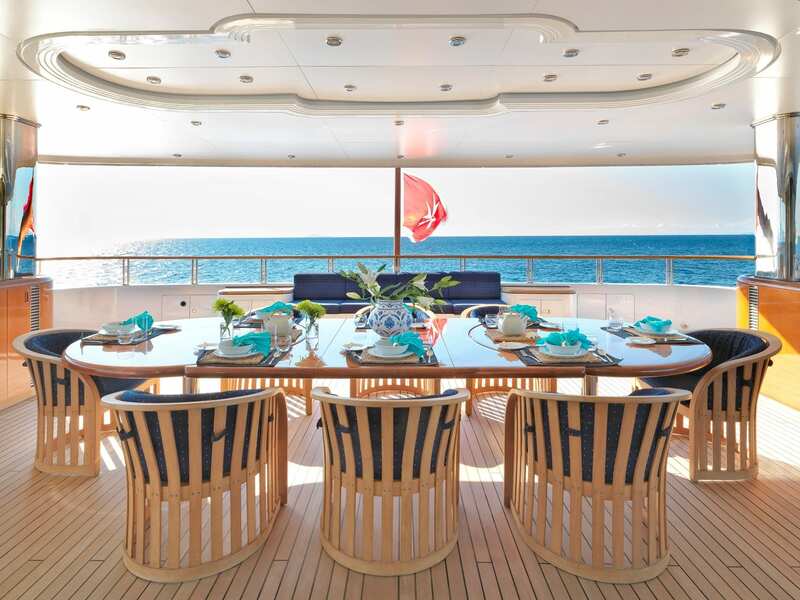 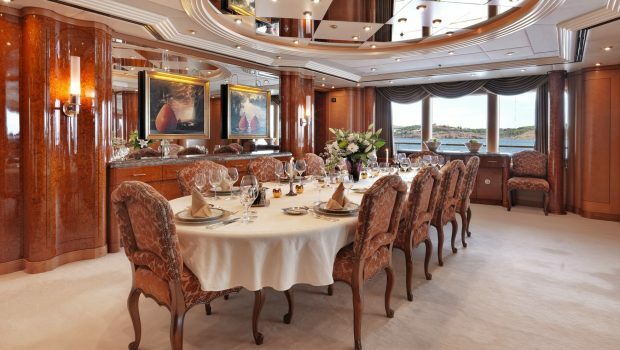 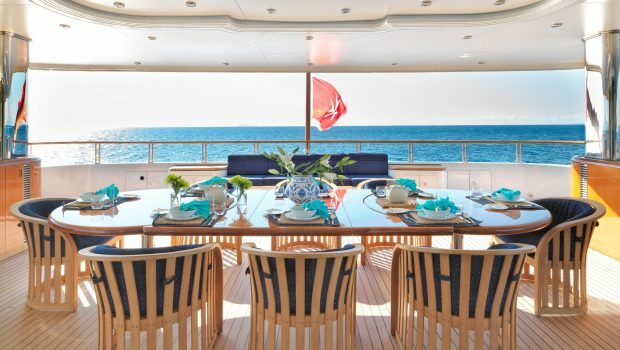 CAPRI I is an impressive 192 Foot luxury motor yacht that accommodates up to 12 passengers. 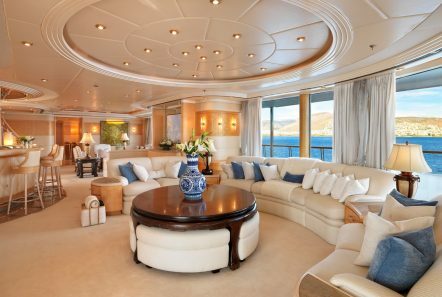 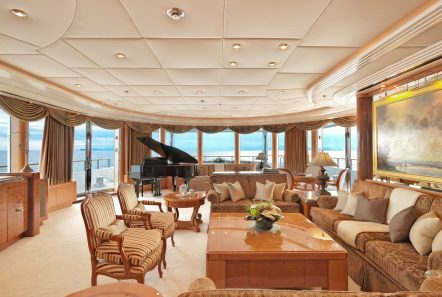 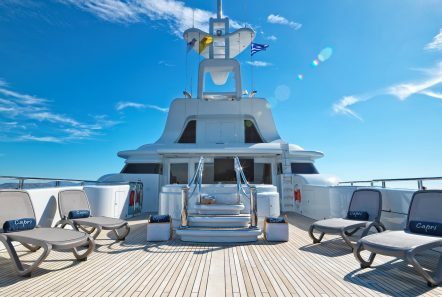 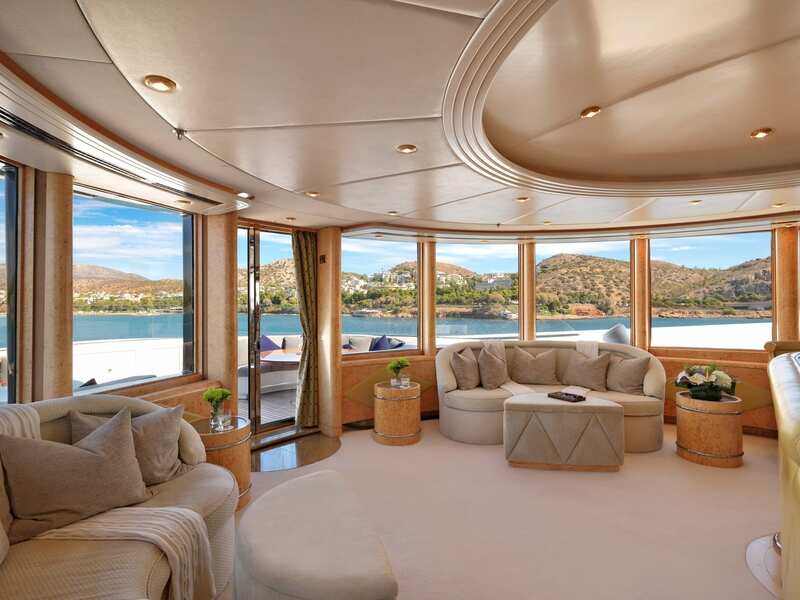 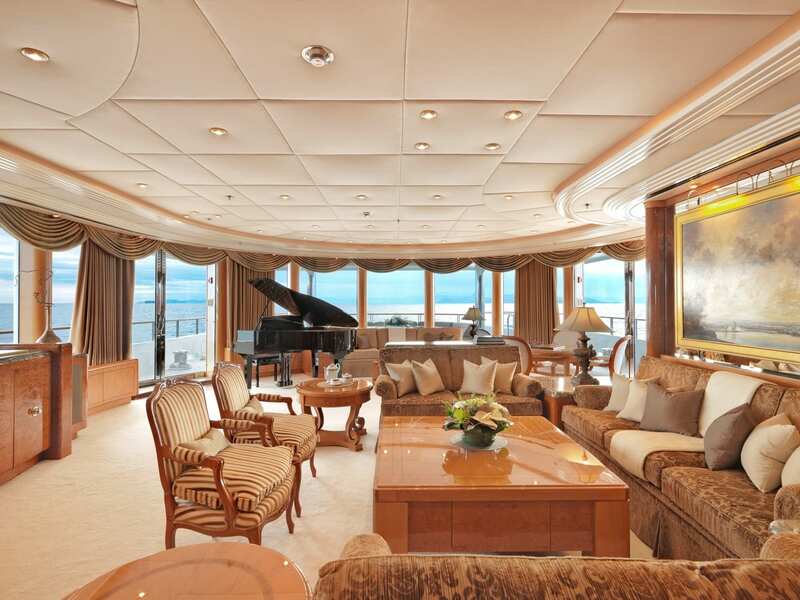 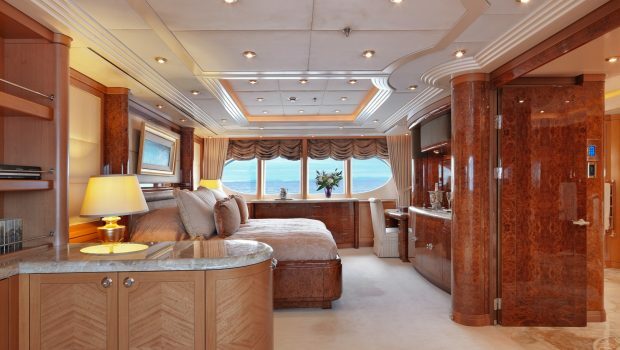 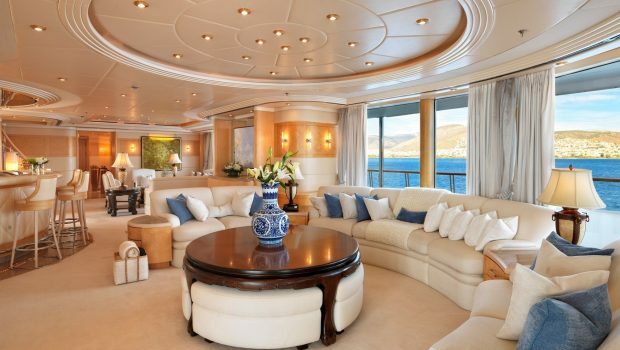 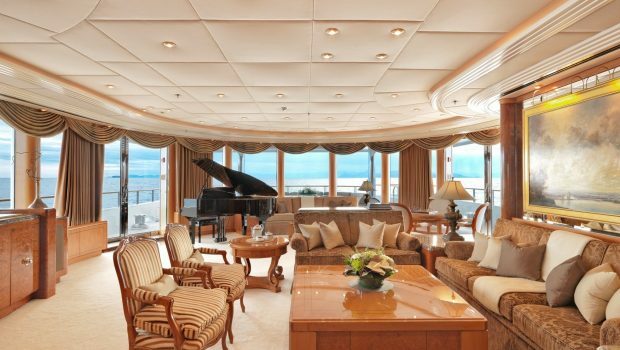 The master stateroom features a king sized bed on the main deck and is the full width of the yacht. 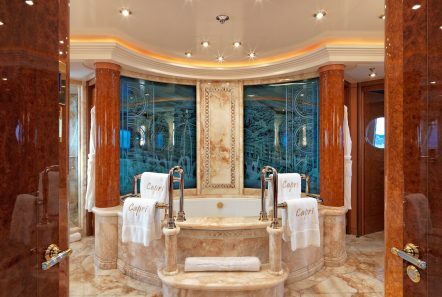 Other luxury amenities include a vanity, and sitting room and a very large bathroom featuring his and hers facilities, a marble jacuzzi bathtub, and massive closets including a large walk in closet. 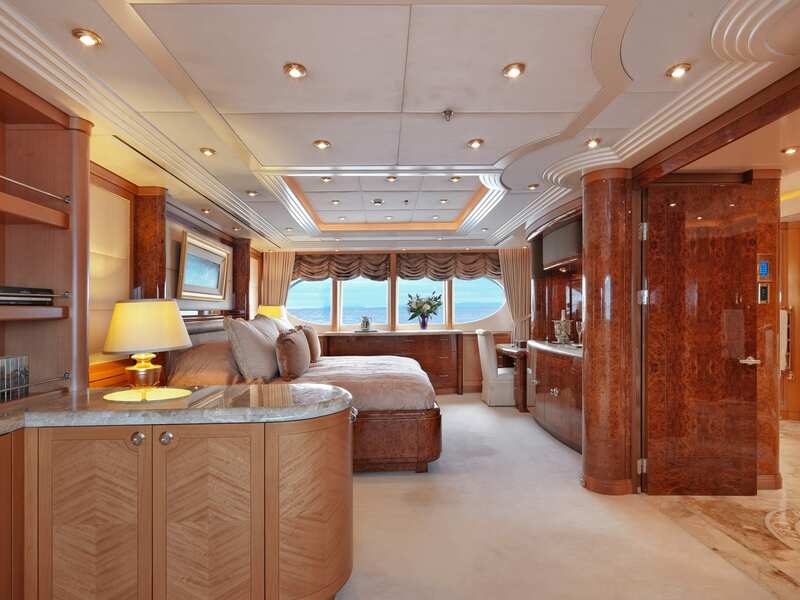 There is a Twin Guest cabin on the main deck with en suite marble bathroom with bathtub. 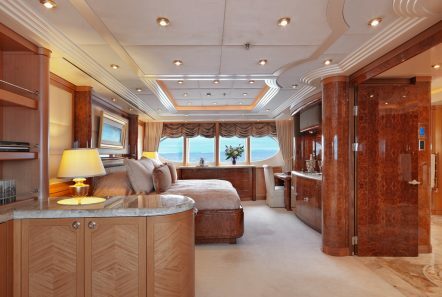 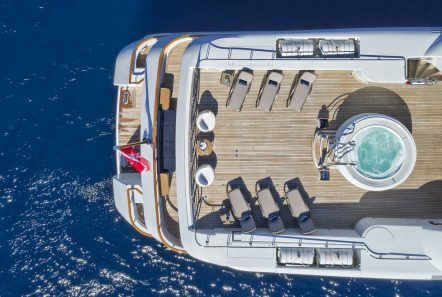 Below, one finds Three Double Guest cabins with queen sized beds and a couch and En suite marble bathrooms with bathtubs. 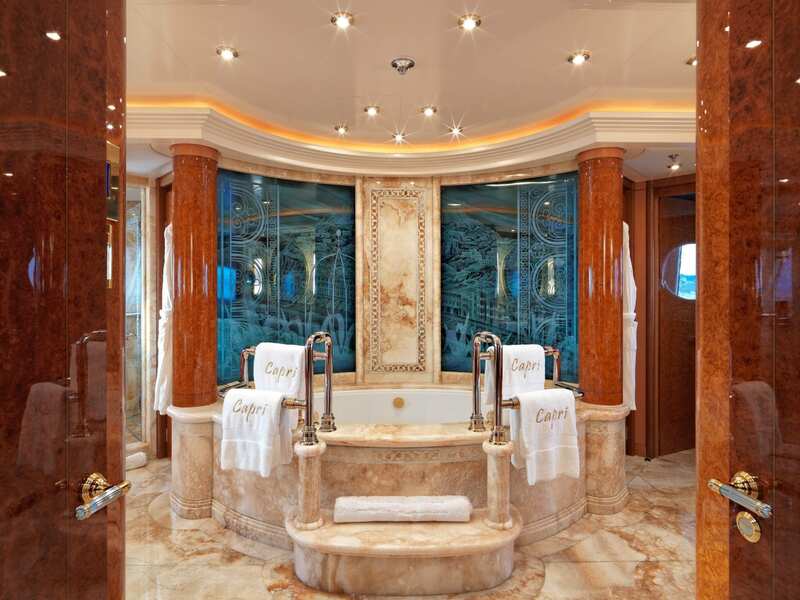 There is one more Twin Guest cabin with a couch and an En suite marble bathroom with bathtub. 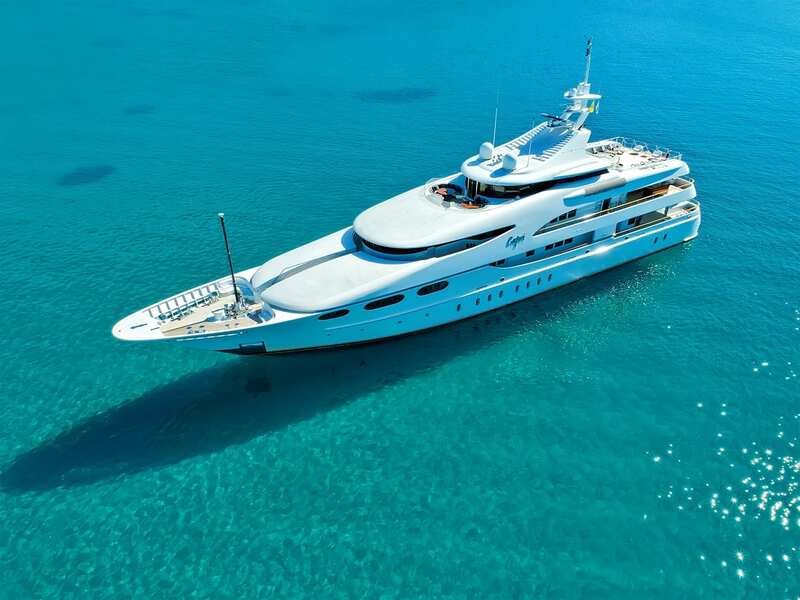 She is staffed by an excellent crew of 16.